High quality skincare with a purpose! 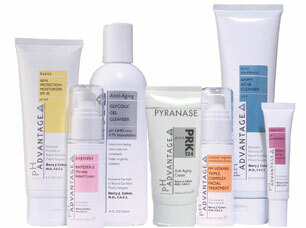 pH Advantage Anti-Ageing Regimen. Significant Glycolic Acid concentrations restore and improve skin's health. pH Advantage is an advanced cosmeceutical skincare range created and developed by world renowned US based cosmetic surgeon and skin expert Dr Barry Cohen. Consisting of 5 specialist skin regimes, Basic, Acne, Control, Anti-Ageing, Booster, pH Advantage is the most comprehensive skin care range available for those who want perfectly balanced, healthy and radiant skin. To achieve healthy, hydrated and radiant skin, it is vital to maintain the proper pH level and level of acidity in the skin. With this in mind the secret behind this revolutionary new skincare range is its unique formulated pH delivery system which actively maintains the proper levels of pH and acidity in the skin.